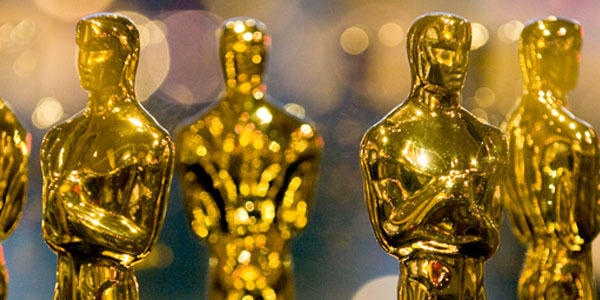 The 2012 Academy Awards are this weekend, and once again, we’re all trying to come up with who we think will go home with the Oscars this weekend. I like to really look at the various industry awards (SAG, DGA, ACE) while making my prediction. A month ago, I was sure that Hugo would be taking away quite a few awards this year, but ultimately, the buzz is really behind the Artist. I agree for the most part, though I think editing will go to either ‘The Artist’ or ‘Hugo.’ No matter what, though, I’m just hoping this year’s show is more exciting than the 2011 snoozefest! @Brian, I definitely want Hugo to take home the editing oscar, but it seems like the industry awards (ACE eddies) went toward Descendants, but we’ll see! There are not enough awards they can give Thelma Schoonmaker, if you ask me. Also, I think you’re right on with your picks… Though my pulling for “The Descendants” may have something to do with the dean from “Community” being a co-writer.